John Kaminski has over 25 years experience in sales and marketing. He began his sales career with Xerox and went on to work in the medical device industry prior to starting his own business. John has been recognized as a top performer at every company with which he has worked. John co-founded DocuMedX, a successful medical services business that contracted with large hospital groups and HMOs. In three years time, he guided DocuMedX to be the largest independent transcription service in the northwest. DocuMedX was twice recognized as one of the “Best Companies to Work For in Washington,” by Washington CEO magazine. John negotiated the sale of DocuMedX to a publicly traded company that was conducting a roll-up in the industry. DocuMedX served as the model, and John led the reengineering efforts to assimilate several acquisitions into a single company. 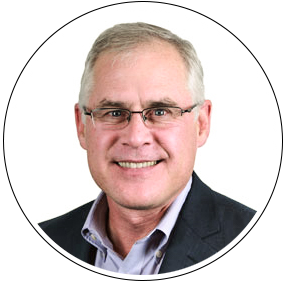 After selling DocuMedX, John worked with startups in the dot com, videoconferencing, and healthcare benefits industries prior to joining TEC (now Vistage) where he pioneered a regional sales and marketing role for the world’s largest CEO membership organization. John has a Bachelor of Arts degree from Whitman College in Walla Walla, WA (the city so nice they named it twice). He is active in his community, has served as a little league baseball coach and board President, and donates his skills as an auctioneer to several schools and nonprofit organizations on Bainbridge Island where he lived with his two teenage boys.